Question: What is the purpose of editing Map16? Answer: To make tiles with different behaviors and looks. This can create new gimmicks, piece together new graphics and decorations, and much more. Question: What is safe to edit? Answer: Editing pages x3-x3F for the foreground and x42-x7F for the background have no consequences. 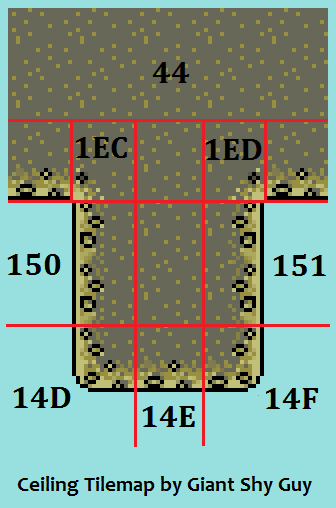 x2 can be tileset-specific: press CTRL+F1 in the Map16 Editor to toggle on/off whether or not page x2 is tileset-specific. 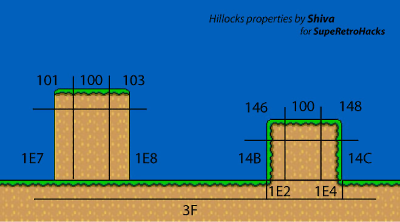 x0 and x1 are SMW's default foreground tiles, and x40 and x41 are the original background data. Question: How do I change how a block looks? Answer: On the left side of the Map16 editor, there is a "Palette" dropdown and four boxes stacked two high. The palette box cycles between palettes 0-7. The four boxes are 8x8 tiles. Click and select tiles you want. Then, paste them in the Map16 editor. Question: How do I change how a block acts? Answer: On the left side of the Map16 editor, there is a "Priority" dropdown and an "Acts Like" box. Priority on makes sprites go behind it, and priority off makes things go in front of it. The number in acts like should correspond to the behavior. Question: Is there any easy way of knowing what numbers act like what? Question: How do I import and export Map16 data? Answer: exports the current Map16 selection. imports Map16 from a file. and both work the same, but handle all of the Map16 in the ROM or file. Question: Why aren't my Map16 changes showing up when I play the ROM? Answer: Don't forget to press in the Map16 editor too. Question: Can I get the pipes to stop changing colors from screen to screen? Answer: Yes. 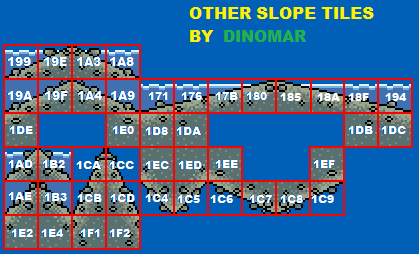 Copy and paste the pipe Map16 tiles onto a page from x3-x3F and choose the palette you want for them and use the new pipe tiles.